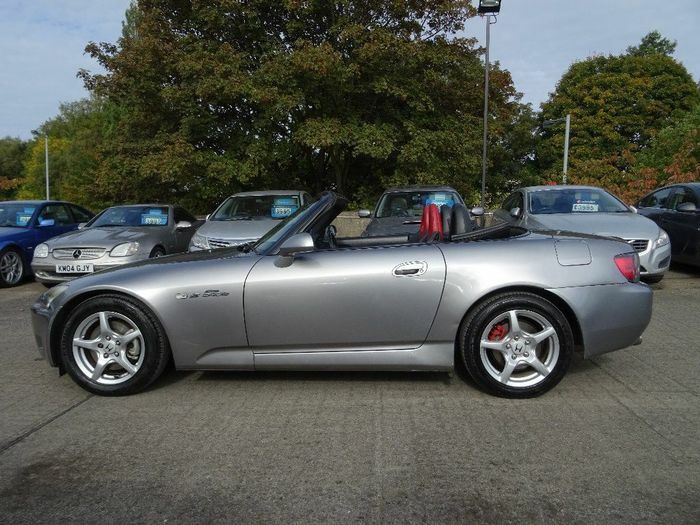 Fans of the Honda S2000 who thought prices had spiralled out of your reach, you may want to sit down. 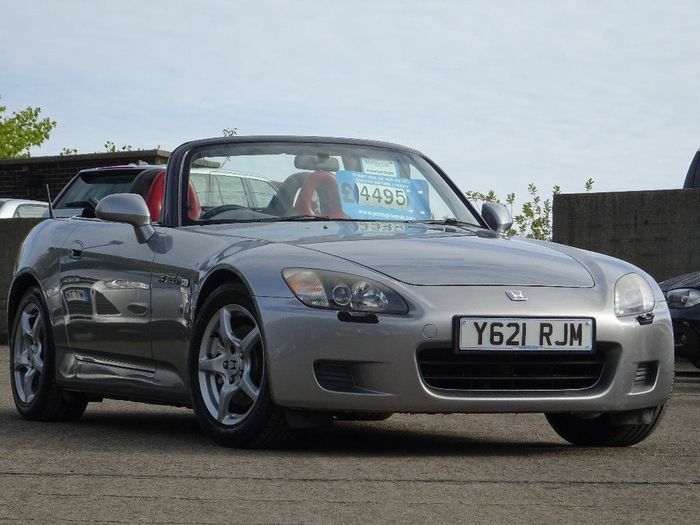 Prices for the iconic hot Honda had seemingly gone crazy of late, with plenty of stories of people selling them for more than they paid just 12 months or so before, but we’ve found what looks to be one of the last S2000 bargains. Idly flicking through the classifieds, as you do, we found plenty of sports cars that were holding their money a little better than the financially-challenged used car buyer would like. A barely used Integra DC2 just sold for $64,000 at auction, and after driving one we can just about understand why. Our piece earlier this week about the five-cylinder SSM concept that ultimately became the S2000 made us think to look at how the roadster’s prices were looking – and we had a bit of a shock. 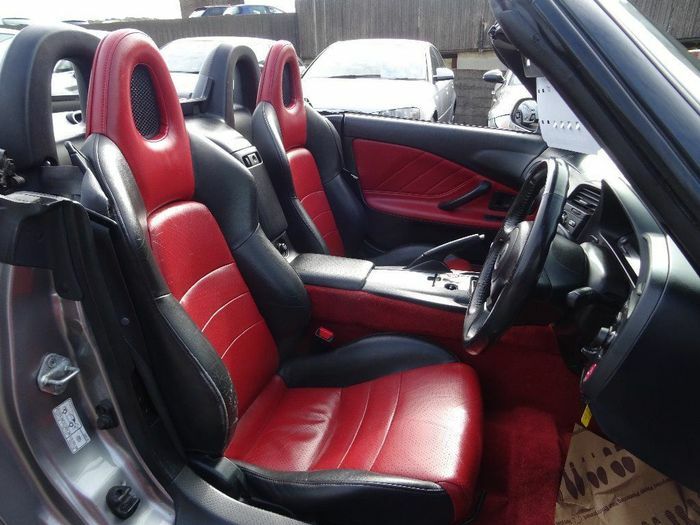 Straight away we found this Silverstone S2000, with red and black two-tone leather seats that look in way better condition than those on most Y-reg (2001) examples you’ll find. In fact… apart from a dent on the rear left wheel arch and a few small scuffs here and there, it looks very well kept. The tyres aren’t the original Bridgestone RE050s, which aren’t made in the correct sizes any more, but a mix of Kumho (front) and Nexen (rear) mid-range rubber will do until you have chance to switch to a matching set of something good. I owned one of the same age and tried Firestone Firehawk SZ80s, A-rated for wet grip, and they were excellent. That totally driver-focused dashboard is awesome. The 1990s-futuristic digital rev gauge stretching all the way to 9000rpm is a centrepiece you never get tired of. But obviously, as always, the highlight of the S2000 is the engine. The red-lidded F20C was built solely for the S2000 and never officially fitted to anything else. Mounted behind the front axle, it technically made the long-nosed S front-mid-engined. Tuned for peaky power delivery for a uniquely raspy, angry, high-revving sports car experience, it made you want to chase VTEC from the moment it was fully warmed up. Instant throttle response in part made up for the lack of torque at low speeds. Even at modest revs you could dart forwards at the tickle of the metal-plated go-pedal. There was plenty of transmission noise and even a fair amount of heat through the central tunnel behind the gear lever, but grabbing one by the scruff of the neck and surfing the power band up a good road was a magical experience. Another special highlight was the slick, mechanical-feeling gearbox. The ratios slotted home so naturally, but with a little effort and a distinct metallic thunk, like cocking a rifle. The steering was a bit dull and lifeless, but still accurate, and the driving position did bother the longer-legged driver, but this was a very, very lovable weekend toy. I regret selling mine, but circumstances forced my hand. 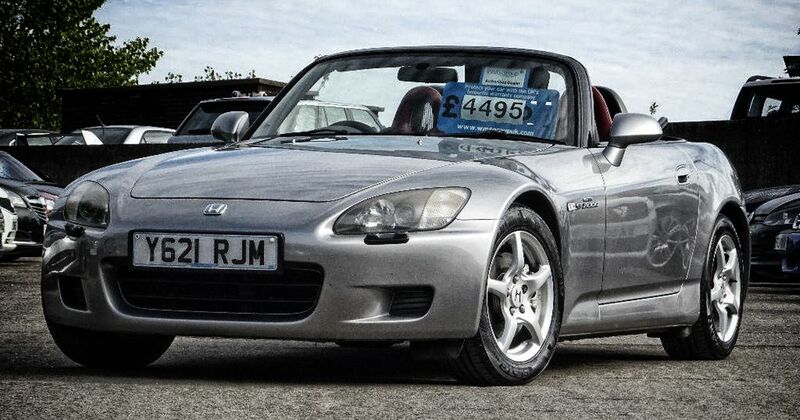 Demand has soared for all S2000s, let alone the low-milers. 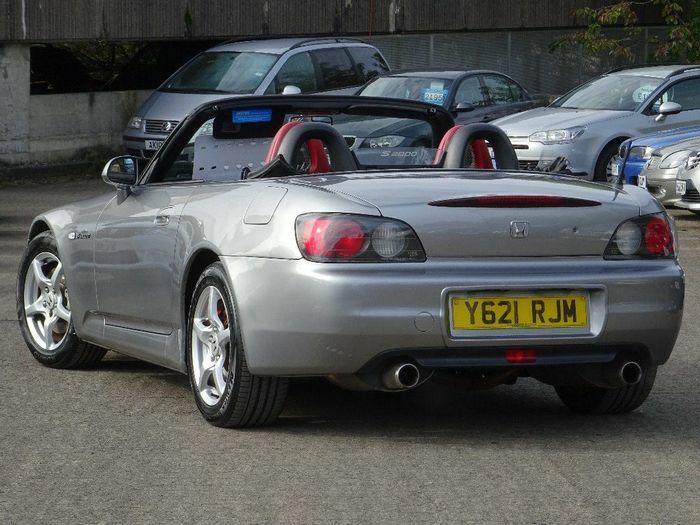 That’s why we’re so surprised to find this 120,000-mile car with a trader for just £4489. We’d have liked more advert detail but there’s a service history, says the seller, and an MOT certificate with no advisories until January 2019. It’s at a dealer in Keighley, to the north of the Peak District in England, but at this price you can bet it won’t be for long.